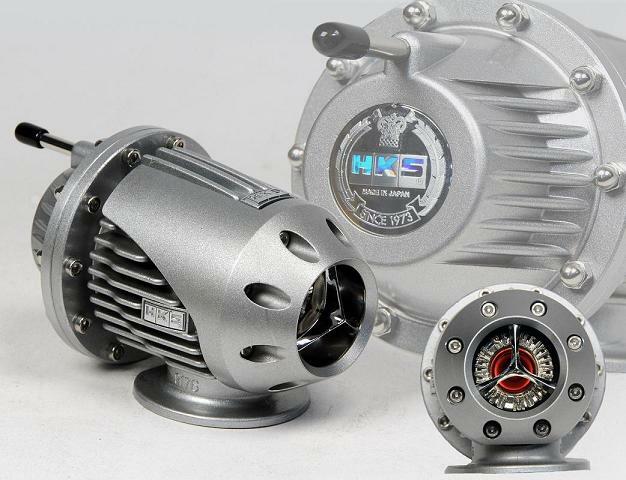 HKS USA, Inc. introduces the third generation Super Sequential Blow-Off Valve, Super SQV3. In 1994 HKS introduced the first Sequential Blow-Off Valve with a unique pull-type sequential valve structure and a differential pressure control system that allows a broad operation range from low to high boost. This pull-type relief design ensures stable operation regardless of boost pressure. New Super SQV 3 features include a nickel-plated, die-cast metal secondary valve which is swaged to the primary valve, a stainless steel C-Clip and spring to increase sealing and durability. To assure buyers that they are purchasing an authentic HKS product, the new design incorporates a holographic HKS logo on the back of the valve as well as additional HKS logos cast onto the body. The Super SQV 3 utilizes the same mounting flanges as all previous generation SSQV’s to assure compatibility with all optional HKS SSQV inserts, recirculation fittings and recirculation kits. Modern Performance will begin stocking these new SSQV Blow off valves within the next few days, so watch out on our website for these! Knockoff blow off valves – Wrong item to buy to save money. Synapse Synchronic Blow Off Valve! Some blow off valve options for 2008-2010 Cobalt turbo owners.